KEYSER, WV – Muriel F. Hesse Kidner, 95, of Keyser, died on Sunday, January 20, 2019 at Goodwill Mennonite Nursing Home. Born April 9, 1923 in New Creek, WV she was the daughter of the late Frank C. and Robbie Naomi (Dellinger) Pancake. She was also preceded by her two husbands, Hobart W. Hesse, Sr. on June 4, 1985 and Lt. Col. John P. Kidner on July 30, 2001 and her brothers, Spencer L. and Richard E. “Bud” Pancake. Mrs. Kidner was a homemaker and a graduate of Keyser High School. 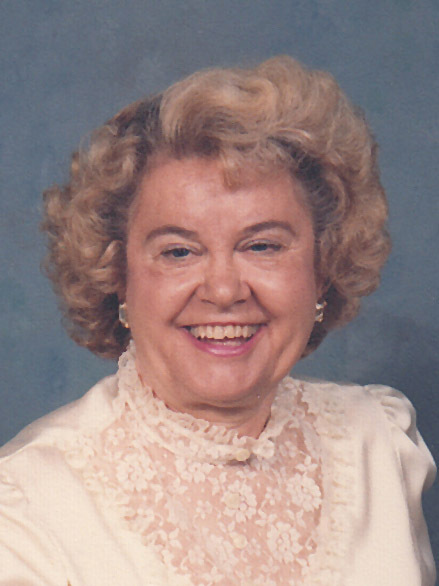 She was a member of the Calvary United Methodist Church of Keyser, United Methodist Women, CEO for over 50 years, Evening Kiwanis Club, National Press Club and lifetime member of the Historic Society. Surviving are her son, Hobart W. Hesse, Jr. and wife, Diana of Keyser; her three daughters, Sharon McNemar and husband Hal of Ft. Myers, FL., Carolyn Thorn and husband Donald of Mt. Lake Park, MD and Nancy Marshall and husband Harry of Keyser and her brother, Frank C. Pancake, Jr. of Charlottesville, VA. She is also survived by her grandchildren, Bridget Jackson and husband James of Cape Coral, FL, Wes Marshall of Keyser, Jennifer Bentlejewski and husband Jeff of Oakland, and Meredith Golden and husband Bryan of Harrisburg, PA; her great-grandsons, Eric D. Allen and Alex Marshall and her great-granddaughters, MacKenzie and Morgan Golden. Friends will be received at the Markwood Funeral Home, Keyser on Saturday, January 26, 2019 from 11:00am to 2:00pm. Services will be held immediately after visitation at 2:00pm with Rev. Andrew Pancake and Frank C. Pancake, Jr. officiating. If desired, memorial contributions may be made to Calvary United Methodist Church, P.O. Box 297, Keyser, WV 26726.